As you may have noticed, I love me a beehive. This is mostly down to the fact that my hair is so curly that I can do nothing else with it other than straighten it, kill it with backcombing and suffocate it in hairspray. My hair is a big thing for me. For years, it's been the bane of my life, so I'm ecstatic to have finally discovered my go-to style. 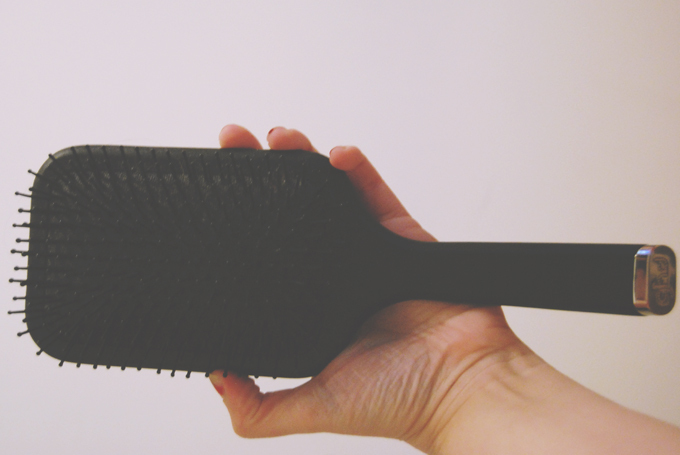 So when ghd sent me this paddle brush, I was over the moon! Ghd, pretty much the only name in hair straighteners, have extended into a ghd hairstyling range, featuring a selection of brushes, combs and hair products. I was sent this paddle brush which was pretty much the best thing to send me. Paddle brushes are perfect for brushing out my beehives and for the past 6 months, I've been using the tiniest little mini paddle. The ghd paddle brush was just what I needed. Let me start by telling you, this brush is big! It's also pretty heavy so it took me a little while to get used to. Once I got the hang of it though, it was great. It has a really sleek style. I never put much thought into how my brushes looked until I saw this design. It does have a real look of quality. 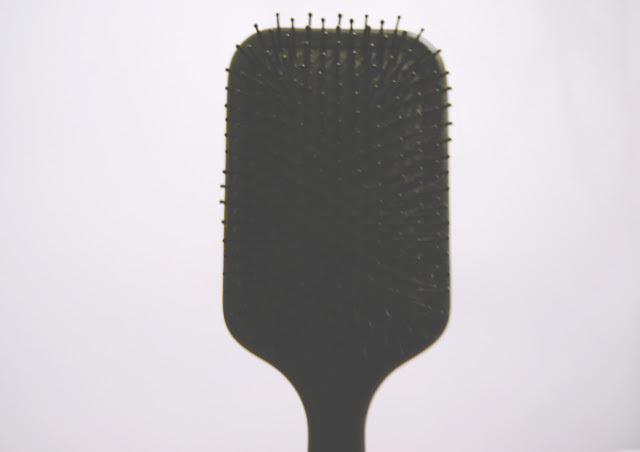 The bristles are firm but gentle on the scalp, and the cushioning ensures a comfortable brushing experience. It seems pretty sturdy. I'm not going to test this by chucking it around, but the good weight on it leads me to believe that it's robust enough. This brush is perfect for me. It reaches right through my thick hair and creates a smooth finish. I recommend it if you're in the market for a good-quality paddle brush. it seems like a really good brush! This brush looks great! I may have to try it out - I'm always trying to get sleek hair! i need to invest in one of these!